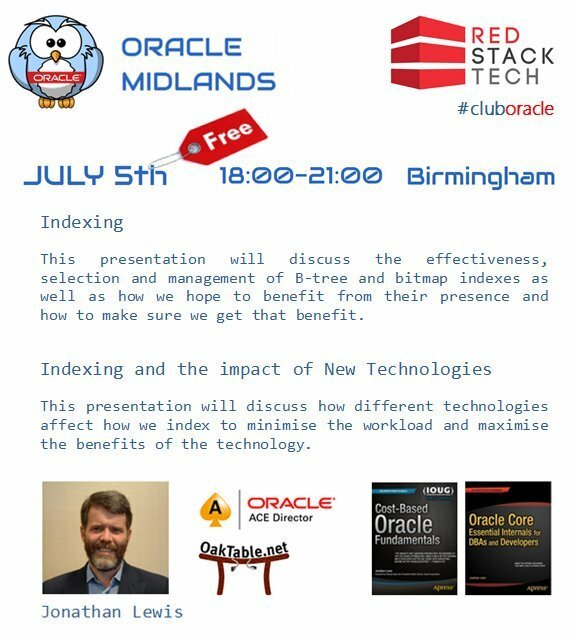 Don’t forget Oracle Midlands Event #15 next week! It’ll be interesting to see what this new kid on the block Jonathan Lewis has to say for himself! Please show your support and come along. It’s free thanks to the sponsorship by RedStackTech.